There are other more ways to continue one’s business education without going back to school. One of the ways is through READING. There are so many useful books out there that will give you great advice about entrepreneurship. Other books will inspire you to do better in business. Here are some of the books every entrepreneur ought to read. Her scientist parents who have often put her down for not being a genius. But what Duckworth lacks in intelligence she makes up in grit. Passion and perseverance—otherwise known as grit—will get you to greater heights than mere talent. This is the lesson this book imparts to readers, hence, an important one for entrepreneurs to read. 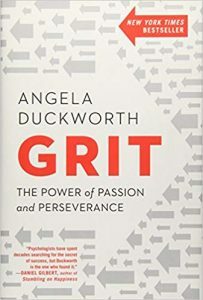 Angela Duckworth’s wisdom comes from experience as he Entrepreneurship is an everyday learning process. You might have a business degree in the best university, and maybe even an MBA, but in the real world, it’s not always enough. There is still something to learn. In fact, as the saying goes: experience is the best teacher. And the everyday responsibilities of running a business are indeed the best way to know more about entrepreneurship. Yet another way to learn is by getting inputs from other businessmen. They have been through what you have been through but there are always unique experiences that each businessman goes through. That should allow you a better learning curve. And they can learn from you too. Hafid is a poor camel boy who eventually finds himself living an abundant life. How? 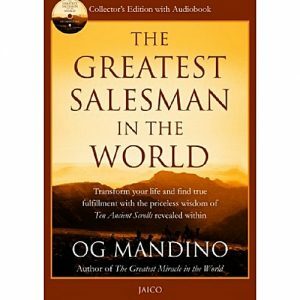 With the help of 10 scrolls that feature the secrets to a successful life and how to be the greatest salesman in the world. The 10 scrolls are business philosophies that will make a salesman—or any man for that matter—successful. This self-help book published in 1959 (with an abridged version published in 1987) is still relevant today. According to Forbes, it is one of the best self-help books out there. Schwartz wrote about useful methods to be successful in one’s job, marriage and family life, and the community. But one of the reasons why the book is so successful is because Schwartz believes that one doesn’t have to be academically intelligent in order to succeed. This self-help book published in 1952 is still completely relevant and is still used as a bible by a good number of businessmen. 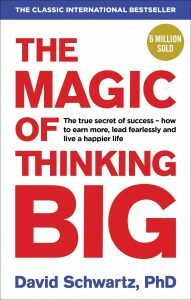 The book puts a lot of focus on how positive thinking helps people achieve success. 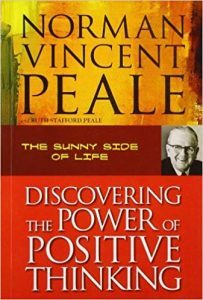 Peale talks about the 10 rules for “overcoming inadequacy attitudes and learning to practice faith.” And each rule puts prime on being positive. Most of the books that entrepreneurs use as a bible were published decades ago—but here’s a new one: The Secret by Rhonda Byrne. Published in 2006, this book centers on the “law of attraction.” It’s a bestseller with over 20 million units sold, and the book has been translated in to over 50 languages. 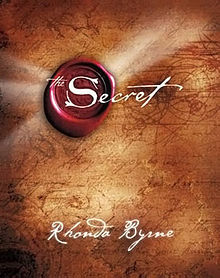 But The Secret was originally a film influenced by Wallace Wattles’ The Science of Getting Rich (1910). This is basically just about positive thinking. The book states that seriously thinking about something you want will help make it a reality. Visualizing one’s desire is important to improving one’s prosperity. This makes sense as every businessman wants to succeed. Why do people say yes? 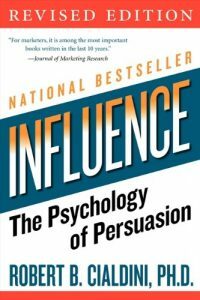 Well, Robert Cialdini explains his understanding of the psychology of getting people to say yes in this book. It took him about 35 years to study and understand people’s reasons for saying yes. In the book, Cialdini enumerates six universal principles that could make people say yes. 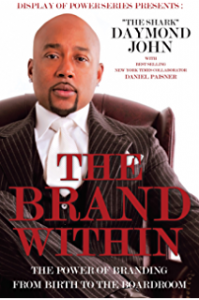 Daymond John actually practiced what he preaches. In the book he shares how he has been practicing the “power of broke” since he started selling merchandise without proper capital. Because he was broke, he had to come up with out-of-the-box ways to market and sell his products. He was the brains behind the successful campaign of the Fubu brand. It would not have been as successful as it was if Daymond didn’t know what being broke was.